Implications of our findings for those advocating changes based on global warming forecasts: Are global warmers harming their own case? Our findings that there are no scientific forecasts to support global warming does not mean that all of the proposals by the global warming community are fallacious. But it does illustrate the dangers of using global warming as the reason for change, as is done for example, by Al Gore. The lack of a scientific basis for global warming forecasts might be detrimental to global warmers who advocate change. People are likely to falsely assume that because the premise is false (i.e., no scientific forecasts support global warming), the proposed policy changes are also false. Consider the flowing faulty logic: “If there is global warming, higher gasoline taxes are needed. There is no global warming. Therefore there is no need for higher gasoline taxes.” The case for changes in gasoline taxes should be based on its own merits. A more sensible approach would be to make forecasts about the costs and benefits of each public policy proposal. Mr. Gore has made his case in his book and movie both titled An Inconvenient Truth. Scott Armstrong’s case is that climate forecasters are unfamiliar with scientific forecasting methods, and their consequent inappropriate use of complex models provides invalid forecasts. Forecasts from climate models are therefore likely to be less accurate that the naïve forecast that global temperatures will not change. The winner of the Global Warming Challenge will be the party with the smallest forecast error over the next 10 years. Assume that Al Gore can spare five minutes at some time in the future to accept Scott Armstrong’s Global Warming Challenge. Who do you think would win? 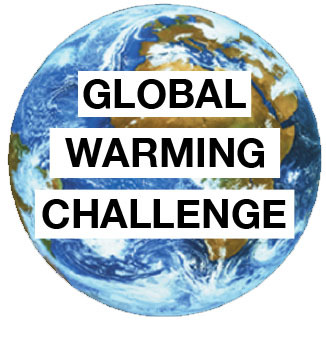 There were 85 respondents from around the world: 82% thought Scott Armstrong would win the challenge, 12% believed Al Gore would win, and 6% believed the Challenge was too close to call. The winner of a signed copy of Scott Armstrong’s book, Principles of Forecasting, has been emailed.